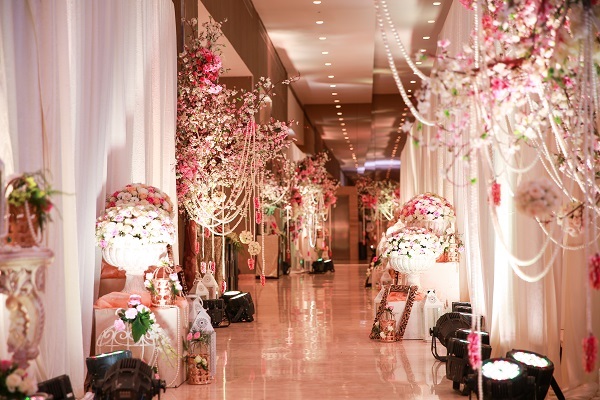 DECOR DELIGHT: A Dreamy, Vintage, Chic Wedding With Gorgeous Detailing by Dreamzkraft! This one will warm your hearts and make you believe in floral fairy tales! You will revel in the enchantment of this chic, vintage wedding dream. 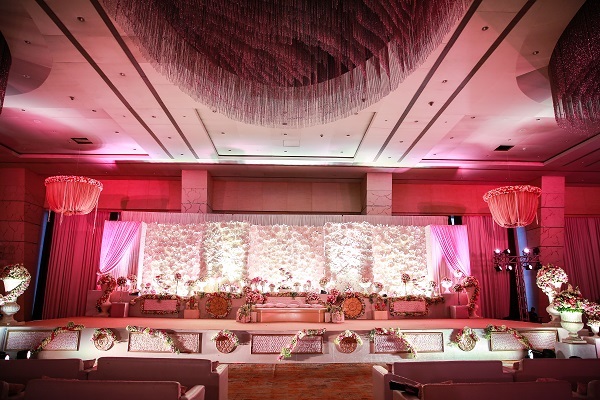 Dreamzkraft Weddings designed, conceptualized and executed this cozy, intimate wedding at Hotel Sahara Star, Mumbai. 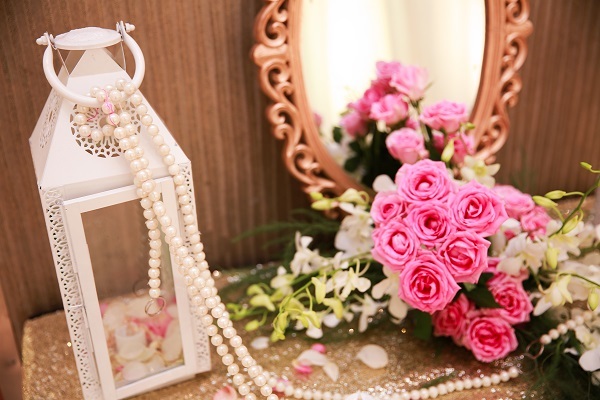 The stylists at this boutique decor agency created magic with unique elements in ivory and blush. Floral cascading Fountains, overflowing Urns, Trees with pearls and Mason jars wrapped in lace, this wedding was truly a decor delight! Take a look. 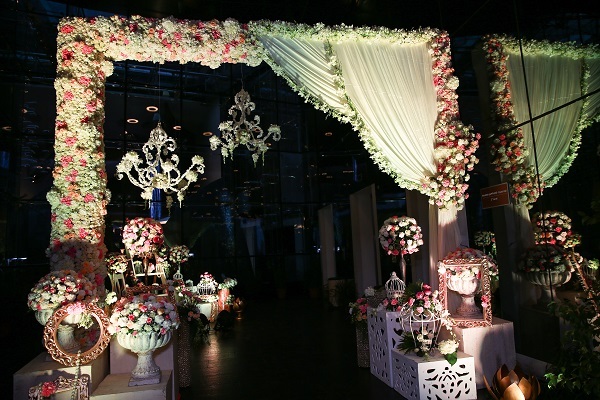 Guests were welcomed at a magnificent entrance styled with gorgeous blooms, velvet drapes and lots of little detailing. 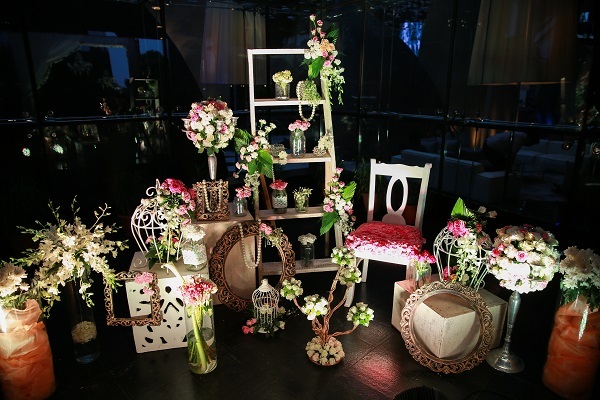 Clusters of props decked various corners in the venue: guests eyes rested on white ladders, chairs with floral love seats and glass jars with long floral stems. 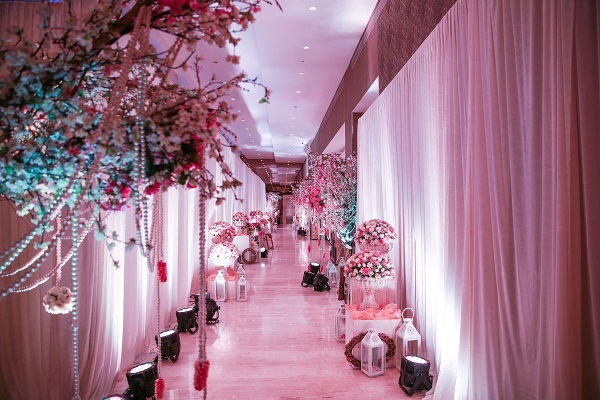 Attendees were seen gasping in awe as they walked through a pathway styled with trees loaded with pearls. They feasted their eyes on the floral heaven that stood before them. 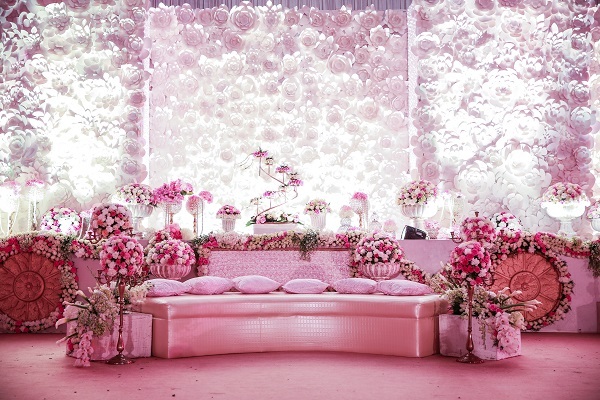 The stage backdrop took the design story to another level of brilliance with panels made of paper flowers juxtaposed with floral props laid out in front of it. 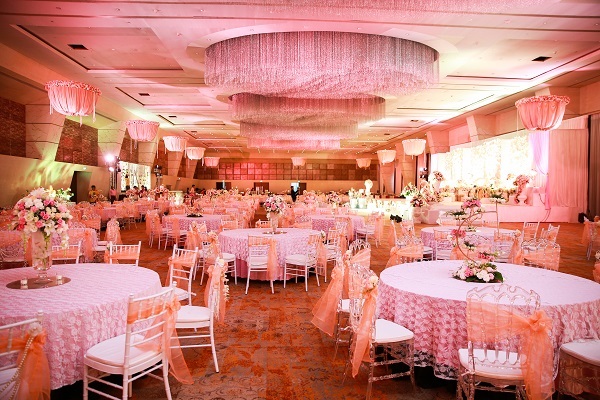 The venue glowed in soft hues of blush. 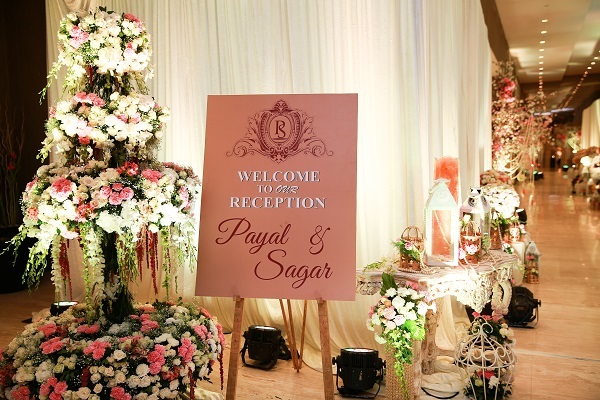 Guests enjoyed themselves as they soaked in the vintage beauty of the evening. 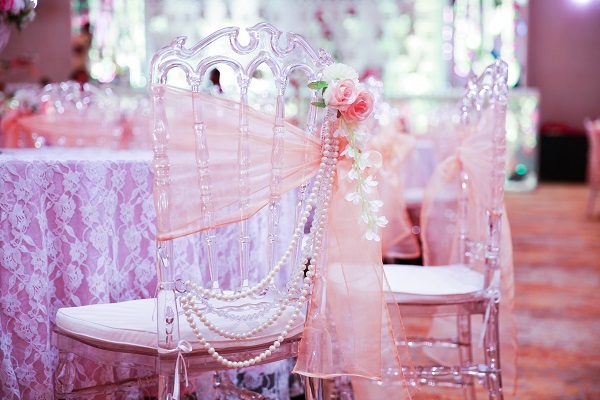 During dinner, tables sported soft lace overlays and backs eased on chairs adorning pearl sashes. The family enjoyed a seated dinner at a pre-styled area made special with dreamy linen and little floral master pieces.